The United Airlines naming-rights deal with Los Angeles Memorial Coliseum will be the biggest naming-rights deal amongst collegefootball stadiums, with negotiations finalizing at $70 million over 15 years. If all goes well, this will exceed the now second-largest deal between Alaska Airlines and University of Washington Husky Stadium, which was closed at $41 million for 10 years. The revenue from this deal could significantly reduce the burden of renovation costs for the stadium that are projected to go upward of $270 million. The deal could help offset a portion of the cost and accelerate the renovation capacity, making it ready for the 2019 football season. Fox Sports in collaboration with University of Southern California has been attempting to sell naming rights since 2015, scouting for potential corporate candidates for the naming-rights deal. Sources reveal that one of the major factors that worked in United Airlines’ favor was its CEO’s affiliation to the USC business school, it is Oscar Munoz’s alma mater. A naming right for the Los Angeles Memorial Coliseum would bring a value that could transcend far beyond typical college sponsorships and naming-right deals. 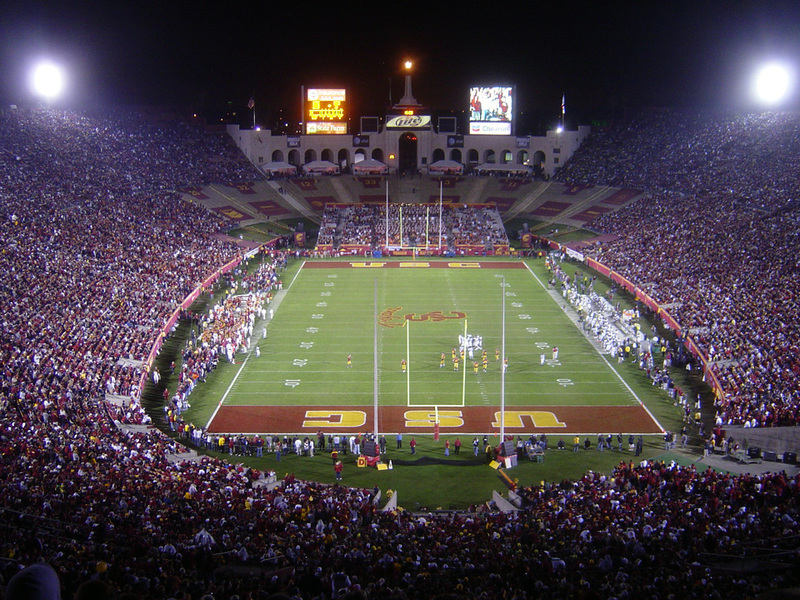 In addition to being the Trojans home stadium, the Coliseum is also the temporary home of Los Angeles Rams who played there last season and plan to continue through the 2019 season till their stadium re-opens in 2020. The Coliseum, apart from carrying its pre-existing status will rise even more in importance as it attempts to host the track and field competition for the 2024 Olympic Games. This deal could not have come at a more opportune time for United Airlines, as a naming-rights sponsor would benefit from the visibility the Coliseum receives right next to the I-110 freeway. The huge stadium signage is a part of the agreement. Fox Sports has played an instrumental role by leading negotiations on USC’s front, ever since the school decided to outsource its multimedia rights, which range from sponsorships to hospitality and radio and TV rights that are not owned by the Pac-12 conference. This could be one of the most mutually beneficial naming-rights deals in recent history and although United Airlines does hold this right, it has been confirmed that “Memorial Coliseum” will be retained in the eventual naming.